Dating back to the early 1820s, truss bridges are one of the oldest modern bridges still being used. Back when it was first introduced, due to the abundance in timber, truss bridges were comprised of fitted timber and iron rods. It started to become a common structure from 1870s to 1930s, and as the years progressed, steel started to replace the main raw material used, iron. Through the years, many different types of styles of trusses were being introduced and used, depending on the occasion. They are all composed of the triangular structure, but are modified to add an architectural look or to adapt to the load it needs to hold. A bridge’s main purpose is to provide a passage way over obstacles, such as water ways, roads, or valleys. It is a way to get from point A to point B. Depending on the location or situation, a truss bridge will most likely be able to be built. While being able to maintain and withhold its weight, these bridges can either be built across long or short spans. This structure has been used since the 19th century and are known to be long lived with their durable design. One of the major components that makes a truss bridge so important is the ability to build an actual road right on top of the bridge itself. Because of this, it opens doors to many transportation routes. That is why it is common for truss bridges to be built between mountains to connect railways and highways. A truss bridge is comprised of structures that form a truss. A truss is a type of structure that consists of two different forces that are assembled together in order to form a single object. The two forces are applied to two different points, and in most cases will form a triangle. The structure focuses on the stress coming from the tension and compression that allows the structure to withstand heavy loads. Materials that are being used when building a truss bridge are very minimal, and are used efficiently. The materials being used will utilize cheaper and lighter materials. 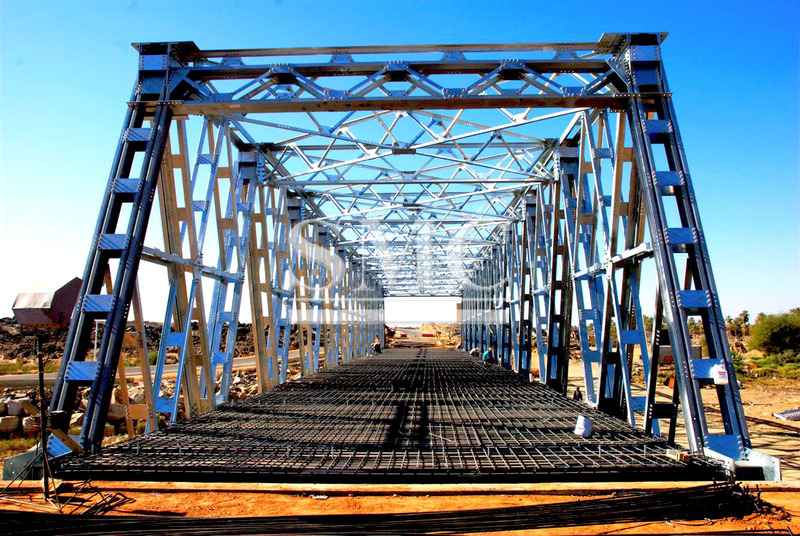 Steel, being both inexpensive and lightweight became one of the main materials used when building a truss bridge. Although having a simple base structure, truss bridges are actually very strong. The triangular structure helps provide support for the whole bridge itself, and can withhold heavy loads.